Being in the sun is great. It usually means you’re getting some much deserved time off and a bit of Vitamin D. However, too much sun can also lead some parts of your body, such as your lips, to become dry, chapped, sunburned, and ultimately start peeling. In extreme cases, excessive exposure to the sun without using a lip balm that provides a sun protection factor (SPF) can even cause cancer. It’s right up there with smoking and chewing tobacco as a major cause of lip cancer. Using lip balm with SPF every time you go outside is ideal. If you work outside or are planning to be in the sun for long periods of time, it’s practically imperative. Studies have shown people are at a greater risk of getting cancer when their lips are not protected. Think of how your lips feel when you’re indoors working in an office for most of the day. The unseen environmental factors you face, like too much heat or air conditioning, a lack of humidity or even insufficient hydration can lead to chapped lips. Add exposure to the sun into the mix and your chances of having problems – both immediate and over the long-term – go up significantly. If you’ve researched the subject online, you’ve probably seen different opinions on ingredients that are good and maybe not-so-good in lip balms containing SPF, but checking to see which ones work best for your own lips is the smartest way to go about this. Most sources recommend that the minimum SPF for a lip balm is 15. An SPF of 15 generally protects 93% of ultraviolet B (UVB) rays, whereas an SPF of 30 generally protects 97% of UVB rays. Most women are used to applying lipstick and lip balm. Men, on the other hand, are typically more stubborn about using lip balm but are just as disposed to lip problems, possibly even more so, as their female counterparts. The key to avoiding issues both now and down the road is to select a product that provides you with adequate protection from the sun. Because of the relatively low price point for most of the products in this category, you can try them all out to determine which one works best, feels best, and most suits your lifestyle. Remember, these aren’t just your everyday lip balms for chapped lips, the products listed below all have an SPF of 15 or higher. So whether you prefer to squeeze a tube or use a stick, we’ve reviewed a large sample of the most popular lip balms on the market and have you covered. Jack Black Intense Therapy lip balm provides protection from sun, wind, and extreme temperatures. It is field tested in harsh conditions and designed to be long-lasting so you can be confident your lips will be kept safe over longer periods. 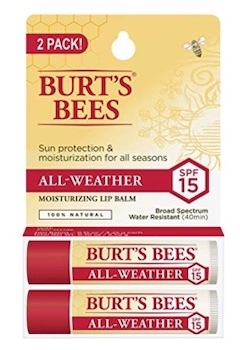 From the beloved lip balm brand Burt’s Bees comes an All-Weather edition of their classic lip balm. This balm offers broad spectrum sun protection and is infused with zinc oxide for extra protection. Like all Burt’s Bees products, it is made with 100% natural ingredients. 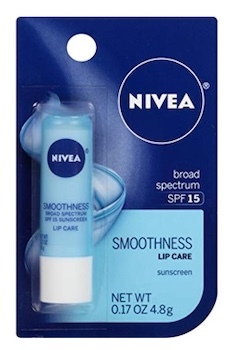 For a silky smooth lip balm that also offers sun protection, look no further than Nivea’s A Kiss of Smoothness. This lip balm uses shea butter, aloe vera, and beeswax to moisturize lips while keeping them safe from the sun’s rays. This matte lip balm from Anthony provides all-round care for your lips without leaving behind any shine. It uses resveratrol to nourish lips and has SPF 25 sun protection. With this balm your lips will be safe and soft without being excessively glossy. 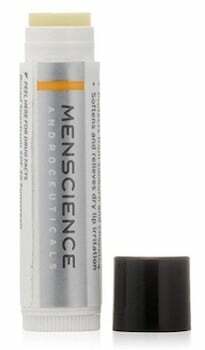 MenScience’s advanced lip balm prevents lip irritation from sun exposure, high winds, and extreme weather conditions. It has SPF 30 and uses natural hydrating botanicals to guard against chapping and peeling. This organic lip balm from Ernest Supplies soothes and protects lips without any color or shine. It is made from organic calendula, organic olive oil, organic beeswax, and fresh spearmint leaves. With non-nanoparticle zinc oxide and SPF 15 sun protection, this lip balm offers great broad spectrum protection in a tiny package. The #1 dermatologist recommended lip care brand, all of Aquaphor’s products are formulated for sensitive lips and skin. 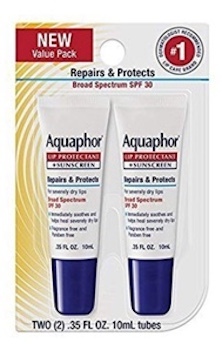 This lip protectant and sunscreen repairs severely dry lips while providing SPF 30 coverage. If you have sensitive lips that need to be soothed and protected, this product is for you. 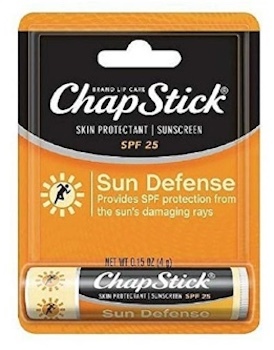 Chapstick Sun Defense is a version of the wildly popular Chapstick that comes with SPF 25. If you’re happy with basic lip balms but want the added sun protection, Chapstick Sun Defense will do the trick. It also contains aloe and vitamin E to keep lips moisturized as well as protected from the sun. Organic, vegan, and made with raw ingredients, Hurraw! lip balm is the perfect choice for anyone looking for a natural and effective lip balm. Hurraw!’s lip balms have all-natural SPF 15 protection that comes from non-nano zinc oxide. These lip balms are available in a wide range of flavors and sizes so you can have your pick. 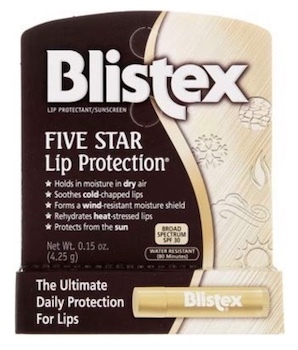 Using a system of five specialized ingredients, Blistex Five Star Lip Protection works to protect your lips from all types of weather conditions. It uses panthenol to protect from dryness, calendula oil to protect from cold, wheat germ oil to protect from heat, candelilla to protect from wind, and SPF 30 to protect from the sun. It’s pretty tough to find better protection at this low price. 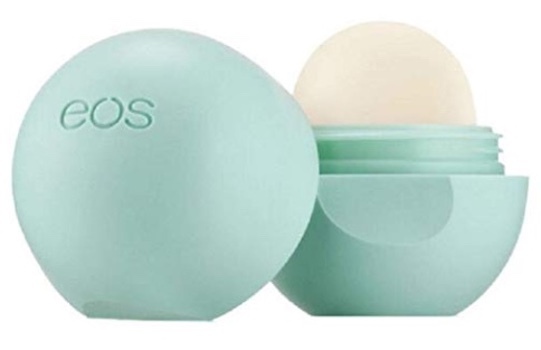 You’ve probably already seen EOS’ signature bright spherical packaging. This trendy lip balm company uses all-natural ingredients and is certified organic and hypoallergenic. It also offers a wide range of scents, some of which include SPF ranging from 15 to 30. This fashionable lip balm has something for everybody. This protective lip balm from Aesop contains jojoba oil and castor seed oil to nourish dry lips. It also offers broad-spectrum SPF 30 sun protection. It also contains tangerine peel oil to give it an invigorating citrus scent and taste. 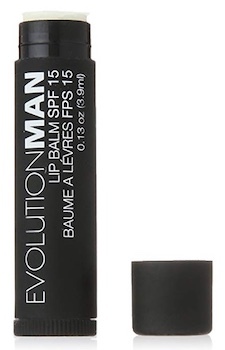 Evolution Man lip balm uses titanium dioxide to provide UVA/UVB protection. It also contains powerful antioxidants to heal lips and even soothe razor burn and skin irritation. On top of that, it has a matte finish and its packaging is made from post-consumer recyclables. 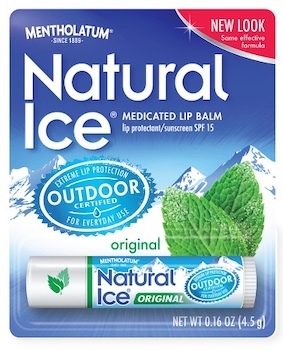 This medicated lip balm from Natural Ice contains SPF 15 and gives lips a cooling sensation when applied. It provides instant relief to lips that are sunburned, windburned, or just really dry and cracked. Free of shine or tint, this lip balm is great for those who want to focus on treatment. 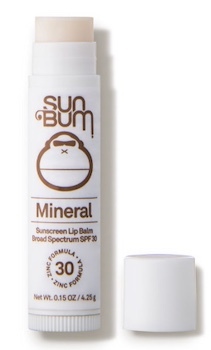 Made for those with active, outdoor lifestyles Sun Bum mineral lip balm is long-lasting and has broad-spectrum SPF 30 protection. It is water-resistant for up to 80 minutes and is reef-safe, so you can swim without worry. In addition to sun protection, this lip balm nourishes the lips with Shea Butter and vitamin E.
Softlips lip protectants are known for their sleek, slim packaging and their super smooth, glide-on application. 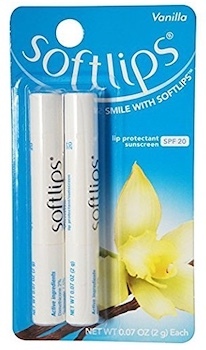 They contain SPF 20 to protect from sun damage and moisturize and soothe dry lips. 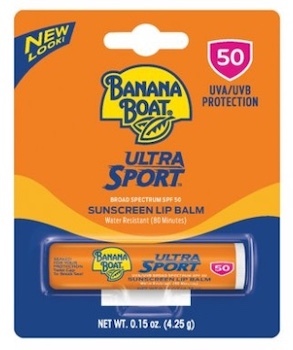 A lip balm from a leading sunscreen brand, it’s no wonder Banana Boat Ultra Sport Lip Balm has a broad spectrum SPF of 50. As the name Ultra Sport implies, this lip balm is also sweat-proof and highly water resistant. It’s AvoTriplex technology helps it last longer than other lip balms with SPF. This tinted lip balm from Neutrogena is great if you want to get the best of both beauty and sun protection. Giving your lips a tint and a softer, fuller look, this lip balm will revitalize the look of your lips. It even comes with ion2complex to give your lips an added level of moisture. Neutrogena lip balm comes in a range of shades that go with any look. 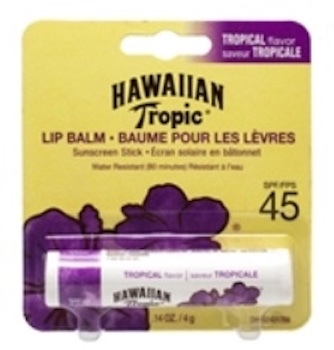 Designed for high temperatures and humidity, Hawaiian Tropic Lip Balm has a water resistant formula and comes with SPF 45. It also contains antioxidants to keep lips soft and moisturized. 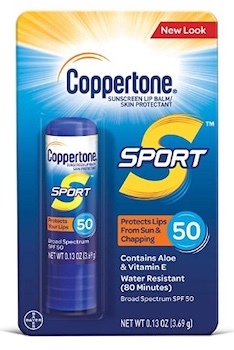 Coppertone Sport Lip Balm provides UVA/UVB protection with an SPF of 50. It was specifically designed for active use and won’t come off in water or when sweating heavily. Containing vitamin E and aloe, your lips will feel as soft as they are protected.